Australia’s ABC News Weekend Breakfast, on Tolkien’s Beren and Lúthien, on 4 June 2017. ITV’s News at Ten, on Beren and Lúthien, 1 June 2017. Documentary, Robert Gilson: Memoirs of an Infantry Officer – I help tell the story of Tolkien’s TCBS friend up to his death in the Battle of the Somme. Made for King Edward’s School in Birmingham, it is closely based on my work with Gilson’s letters. TV special JRR Tolkien: Le Seigneur des Ecrivains, also featuring George R.R. Martin and French Tolkien scholars Vincent Ferré, Leo Carruthers, Isabelle Pantin and others. François Busnel’s La Grande Librairie, France 5, 4 December 2014. Half-hour film, Tolkien’s Great War, made for the First World War centenary exhibition at King Edward’s School, Birmingham – the best video accompaniment to Tolkien and the Great War you’ll find right now. Elliander Pictures, November 2014. Video interview for French website Tolkiendil (in English), Compiègne, 15 November 2014. I talk on location about Tolkien’s experiences on the front line in the BBC2 documentary War of Words: Soldier-Poets of the Somme, directed by Sebastian Barfield, 15 November 2014. Video interview on the centenary of Middle-earth and other topics, with Jay Johnstone at Oxonmoot, the Tolkien Society’s annual gathering, September 2014. ‘The Hobbit’s connections with the South’, ITV Meridian News, 12 December 2012. 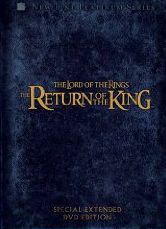 ‘The Legacy of Middle-earth’, The Lord of the Rings: The Return of the King extended DVD (New Line Cinema, 2004). The Real Middle-earth DVD (Multi Media Arts, 2004). Now distributed by Janson Media and available on YouTube. The DVD contains additional extended interviews with me and others. Steve Richards, The Sunday Programme (GMTV, 15 February 2004). Dan Arden, Beyond the Movie: The Lord of the Rings: The Fellowship of the Ring DVD and video (National Geographic, 2002). Talking about Tolkien’s Beren and Lúthien, BBC Radio Oxford (segment begins at 1 hour 47 minutes) on 31 May 2017; Newstalk National Radio Ireland (last item on the show) on 1 June; BBC Radio 5 Live on 2 June, and Canadian CBC’s As It Happens (at the 21:20 mark) on 5 June. ‘The Threshold of Middle-earth: An Interview with John Garth’ – 60 minutes at the Prancing Pony Podcast, a free biweekly podcast by Tolkien enthusiasts Alan Sisto and Shawn E Marchese, 11 June 2017. Programme details here. Son Rise Morning Show, EWTN Radio. 27 August 2014. Oxfordshire’s stories and Oxfordshire people, with Malcolm Boyden, BBC Radio Oxford, 29 July 2013. James Cannon Show, BBC Radio Oxford, 3 January 2013. Tolkien in Love, Radio 4, 3 August 2012. Talking History with Patrick Geoghegan, Newstalk, Ireland, 28 August 2011. Roy Noble Show, BBC Radio Wales, August 2010. Open Book, BBC Radio 4, 14 August 2005. BBC local radio (Tim Wedgewood, BBC Radio Stoke; Jerry Scott, BBC Yorkshire; Anna Quarendon, BBC Wiltshire; John Florence, BBC Radio Leicester; Julie Maddocks, BBC Kent; Georgy Spanswick, Good Afternoon with Georgy Spanswick, BBC Radio Leeds; Lisa Bradley, BBC Radio Jersey), 7 November 2003. The Verb, BBC Radio 3, 9 November 2002. BBC News article about Tolkien’s Beren and Lúthien (reused by dozens of worldwide media outlets online), 1 June 2017. Longform interview in the St Austin Review, July/August 2016, by Michael Hägebock, Originally published in the German-language journal of fantastic literature Quarber Merkur, issue 116, December 2015. I speak to BBC News about Tolkien’s Story of Kullervo, and his fascination with Finnish language and lore. 27 August 2015. I answer questions on my online course, ‘Tolkien’s Wars and Middle-earth’, for the Mythgard Institute blog. 14 August 2015. I talk to the Sunday Times about the imminent book publication of Tolkien’s Story of Kullervo, predecessor to the Middle-earth tales. Also in India’s Daily News and Analysis, and later widely quoted in international media. 7 June 2015. Comments at the opening of the Ashmolean Museum exhibition William Blake: Apprentice and Master. Oxford Mail, 8 December 2014. Interviewed for the lead Sunday Times News Review feature, ‘The hobbit's guide to our warring world’ (subscription needed). Also at The Australian. 7 December 2014. How the First World War turned Tolkien into a writer, in the major Brazilian newspaper Estadão. 26 July 2014. On Tolkien und der Erste Weltkrieg, with the German Tolkien Society, 8 April 2014. In German and English. Discussion of Tolkien’s enduring appeal, The New Daily, 31 March 2014. Q&A on Tolkien und der Erste Weltkrieg, Spiegel Online, 7 April 2014. In German. Comments on Tolkien’s Beowulf: A Translation and Commentary, along with Sellic Spell, Guardian and Telegraph, 19 March 2014. Comments on echoes of the First World War in Tolkien’s writings, as his revolver goes on display at the Imperial War Museum, MailOnline, 3 December 2013; Guardian and Times, 12 December 2013. Reflections on the anniversary of the deaths of President Kennedy, C.S. Lewis and Aldous Huxley, Al Jazeera English, 22 November 2013. Comments on Tolkien’s local inspirations, BBC Oxford News, 3 January 2013. Comments on Tolkien’s The Fall of Arthur, Guardian, 9 October 2012. Q&A with Michael Martinez of the Middle-earth and JRR Tolkien News website, 15 June 2012. Q&A with Pieter Collier of the Tolkien Library website, 28 March 2009. Rodrigo Gonzalez, ‘Tolkien: entre las trincheras y la Tierra Media’, La Tercera, Santiago, Chile, 7 December 2003. Iain Emsley, Oxford Times, November 2003.